With over 20 years of experience in the industry and relationships with over 200 vendors, Concepto Modern Living offers a broad variety of home decor solutions. Our collections include modern dining tables, modern dining chairs, modern dining storage, modern sofas, modern sectionals, modern occasional furniture, modern window shades, modern window blinds, modern drapes and modern sheers. We also offer motorized products, which include modern motorized sofas, modern motorized chairs, modern motorized drapes, modern motorized sheers, modern motorized shades and modern motorized blinds. Home consultations for any of our modern home decor solutions are available upon request. Calligaris modern Italian furniture showcases a blend of timeless European styling and beautiful craftsmanship. Calligaris modern furniture collections boast unique extension tables, comfortable living and dining room seating, sophisticated bedroom furniture and chic home accents. 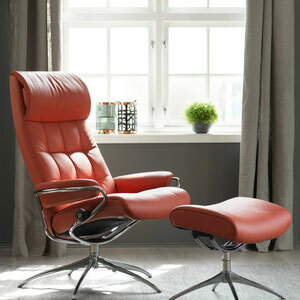 Stressless modern Norwegian recliners, sectionals and sofas are chiropractor recommended due to their ergonomic design. Every recliner, sofa and sectional is designed for proper support and comfort. Stressless is continuously engineered with your body in mind. Giuseppe Giuseppe's fine Italian modern sofas and sectionals are exceptionally crafted. Giuseppe Giuseppe's Italian furniture collection includes a variety of modern sofas, sectionals and lounge chairs. that create a warm, welcoming and luxurious ambiance in your home.